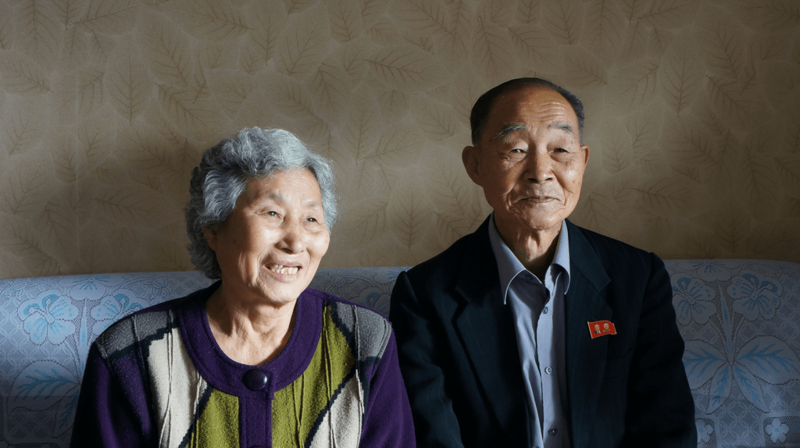 100 mostly elderly – the oldest person being 101 years old – South and North Koreans were chosen using a lottery system, but some sadly had to pull out after discovering the relatives they had hoped to see were no longer alive. The event is being facilitated by the Red Cross, and workers waiting at the Demilitarised Zone (DMZ) to give medical checks cheered joyously as the participants arrived. Why have people not seen their families for so long? The Korean War of 1950-1953 left the peninsula divided and people on the northern side were unable to leave. An armistice was signed to bring an end to the fighting, but no peace agreement was signed and both the countries are still officially at war. Over the decades since, the Red Cross has reunited many families, but participants are not allowed a second chance to see their relatives, so it is likely this will be the one and only time these families will see each other. Who are some of the chosen few? In the group of lottery winners, this time was 92-year-old Lee Keum-seom. She was traveling to see her son, whom she had been separated from, along with her husband, in the melee of people desperately trying to flee to the south. The last time she saw him he was 4 years old. That was 65 years ago. Sisters Kim Gyong-sil, 72, and Kim Gyong-yong, 71, wore traditional dress to meet their 99-year-old mother, Han Shin-ja, who had traveled from the South to see them. How do they get to North Korea? The South Koreans traveled by bus over the heavily guarded DMZ border to the Mount Kumgang tourist resort. Many brought gifts like clothes, medicine, and food to help their much poorer North Korea relatives. They will stay for 3 days, but will only be allowed to see their relatives for a few others each day, and 11 hours in total. While these meetings are a positive step forward in the hope for a unification of the Korean peninsula, it is also a sobering reminder of how different the two countries paths have been since the signing of the armistice in 1953. While South Korea has prospered economically are forged a name for itself as one of the most technologically advanced countries in the world, under the rule of the Kim dynasty, North Korea has been ravaged by famine, poverty, and trade sanctions caused by its controversial nuclear arms programme. Any hope for a brighter future? At the Winter Olympics in February of this year, which was held in the South Korean city of Pyeongchang, a combined team of South and North Korean athletes competed under a united flag. This seems to have been the catalyst for a marked easing of hostility between the two nations and, in April, the North and South Korean leaders met, shook hands and declared before the whole world that there will be no more war on the Korean Peninsula. The DMZ still stands, but there is now increased hope from the South Koreans that one day in the not too distant future the war will finally come to an end and peace brought to the region allowing a unification of the Korean peninsula and all families finally being reunited. Things seem to be continuing positively, and 3 days ago, a joint Korean team marched in the opening ceremony of the Asian Games in Jakarta, Indonesia.